The Assembly rejects the nationwide ban on slaughtering cattle. "Economic interests" behind the new rules, aimed at encouraging the companies that export. Two Bjp members resign in Meghalaya. A Kashmir separatist calls for a "holy war against cow protectors." Thiruvananthapuram (AsiaNews) - Kerala is the first state in India to say "no" to the ban on cow meat imposed by central government of Narendra Modi. With a resolution adopted yesterday during a special session of the Assembly, the deputies - apart from one from the Bharatiya Janata Party (Bjp) - have rejected the ban on the slaughter of cows. The rejection by the local Parliament points to what is happening in India and confirms the first reactions. In fact, Kerala immediately openly contested the ban on slaughter last week, many believed to be a direct attack on the eating habits of minority communities, especially Muslims and Christians. 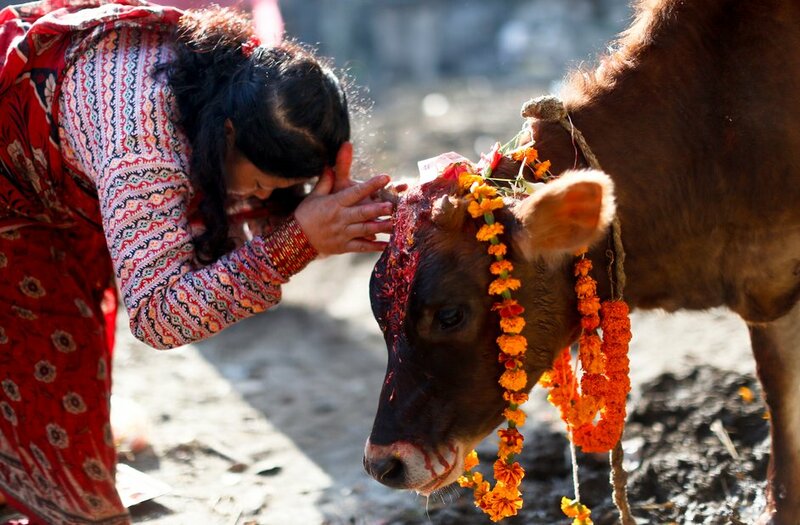 For the Hindu religion, the cow is sacred and several states have already prevented the processing of beef. Mere suspicion of illegal slaughter or consumption leads to episodes of serious violence. However, there are many Indians working in the industry, with an annual turnover of over 13.9 billion Euros, while foreign exports are about 3.6 billion Euros. Former Prime Minister VS Achuthanandan said: "It's nothing but a scam. The reasons are known to all. The Bjp has a program". According to the politician, the government party's plan would be to create cows from added value through exports, "and engage large companies in this business. But we cannot afford our people to suffer." Thiruvanchoor Radhakrishnan, of the Congress, adds: "What emerges is that the major exporters are located in northern India, and some of them have BJP parliamentarians. The law helps them to increase their businesses. We cannot accept this." Meanwhile, controversies have come to light from various places, which may split even nationalists. In Meghalaya two Bjp leaders - Bernard Marak and Bachu Marak - resigned from their positions. They argue that the party they belonged to does not accept "our Garo culture, traditions and culinary habits. The Nakam Nakam (beef) is part of our typical foods. The imposition of a non-secular ideology by Bjp is not acceptable for us." Alongside politics, civil society is also moving. In recent days, a Islamist separatist leader in Kashmir called all Muslims in India to protest, launching an appeal to "holy war against cow protectors." The invitation by Zakir Musa, who severed ties with the Hizbul Mujahideen (HM), indicates rising tensions within already frustrated religious communities.